Showing wonderful coordination with his recent historical release, member Kenneth Wishnia has written a short story about two rabbis and a wise woman exiled from Prague in the 16th century. 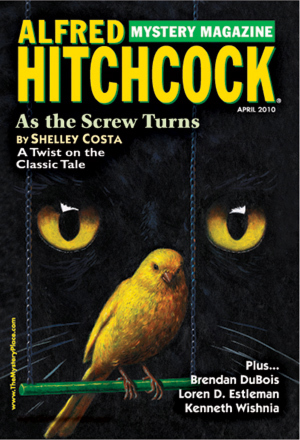 Entitled Between Minkhe and Mayrev, it stars some of the same characters as his novel, and appears in the current April issue of Alfred Hitchcock Mystery Magazine. On newsstands now! This entry was posted on February 27, 2010 by nysinc. It was filed under Member News .